Will you be at the Stockholm World Water Week this year? 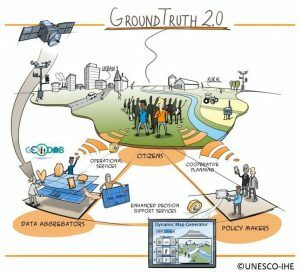 Don’t miss the Ground Truth 2.0 session, called ‘Participated sustainable development: the role of citizen observatories’, which will take place on Tuesday 28 August. This interactive event will explore the opportunities of citizen observatories (COs) to foster collective action by different stakeholders as well as the challenges with implementation. It presents case-based evidence from Ground Truth 2.0 on how and with what tools and approaches COs can actually give communities the agency to influence decision making. Citizen observatories are community-based environmental monitoring and engagement systems that can bring local communities, traditional authorities and scientific actors together to exchange information and co-create knowledge about the environment. With the use of innovative ICT tools and online platforms, COs can mobilise collective action. Their co-design is crucial for empowering communities to be part of the solution to environmental challenges. In this carousel session, three stations will provide insights into the outcomes of COs in two African and one European Demonstration Case. The other three stations will address cross-cutting issues such as co-designing COs, citizen engagement, and ICTs for COs and social media analytics. Following a plenary introduction to the session, participants will move from station to station every 15 minutes, with a total of three iterations. A final plenary discussion will provide room for feedback from the participants on their ‘station visits’. Would you like to find out more about citizen observatories or will you not be available on Tuesday? 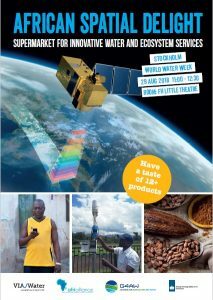 Luckily the Maasai Mara Citizen Observatory from Kenya will be one of the featured solutions in the ‘African Spatial Delight’ session on Wednesday 29 August, organised by AfriAlliance, G4AW and VIA Water. In this highly interactive session, twelve solution providers will demonstrate a great variety in data products that are being developed in Africa. They will tell about the price, the potential customers, the service that is being provided, the business case, the impact and the results so far. After a short introduction of the different products, the audience is invited to ‘shop till they drop’ in this special supermarket. We hope to meet you during one of these sessions in Stockholm!